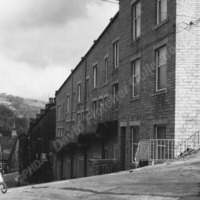 On the right the rear of dwellings on Industrial Street, the lower block has now been demolished and replaced with landscaping and a small car park. Industrial Street was then re-named Garden Terrace. 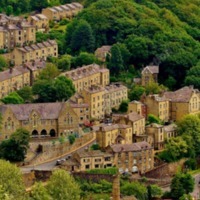 Stubbings School at the bottom. Looking up Marlborough Road towards its junction with Birchcliffe Road. 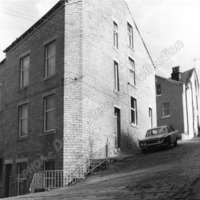 The top junction on the left was Industrial Street, now pedestrianised Garden Terraced. Balmoral Street at the bottom no longer has vehicular access to Marlborough Road.